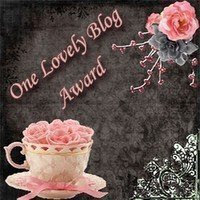 Hi all, I've just found out that I have been given another award from the lovely Spyder,aka Lyn, bless her. I'm going to cheat on this one as it's one that I already have I'm going to say that the first 10 people who visit my blog and leave a message for me on this post can have the award. So big thanks to Lyn and enjoy your award those who take it. Is anyone else having trouble on here tonight?? The Crafty Pad challenge card - "Shiny"